Every homeowner requires some sort of snow clearing equipment. 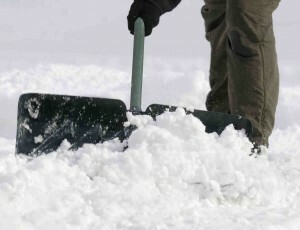 The basic requirement is to have a shovel and snow scoop to clear snow from your driveway and sidewalks. The problem with shoveling snow is that it is actually hard work. Every year we hear of men in their mid fifties or sixties over taxing themselves. They have a heart attack right on the driveway. This is typical of the person who is a couch potato most of the year. Someone who suddenly decides to shovel snow and does not know when to stop. There are several solutions that are easy and not too expensive. They will help to ensure that you avoid having a heart attack. If you get a lot of snow you may want to either purchase a snowblower. Or hire someone to clear snow off your driveway in the winter time and clear your sidewalk. Both solutions are going to cost you money. However the snow blower solution is usually less for many people over the long term. Provided that they maintain the snow blower properly. If you are not comfortable with changing oil, renewing spark plugs etc, then hiring a contractor might be the right approach to clearing snow. The following are the various solutions and some of the issues for each. Many consumers in the northern part of the USA and Canada will purchase either an electric snow blower or a gasoline snowblower to clear the snow from their driveway for the winter. These units come in various sizes with various power levels. The one that I am running is an 10 hp and 28 inch wide machine. The size of snowblower that you need will depend on the amount of snow that you will have to clear in the winter time. 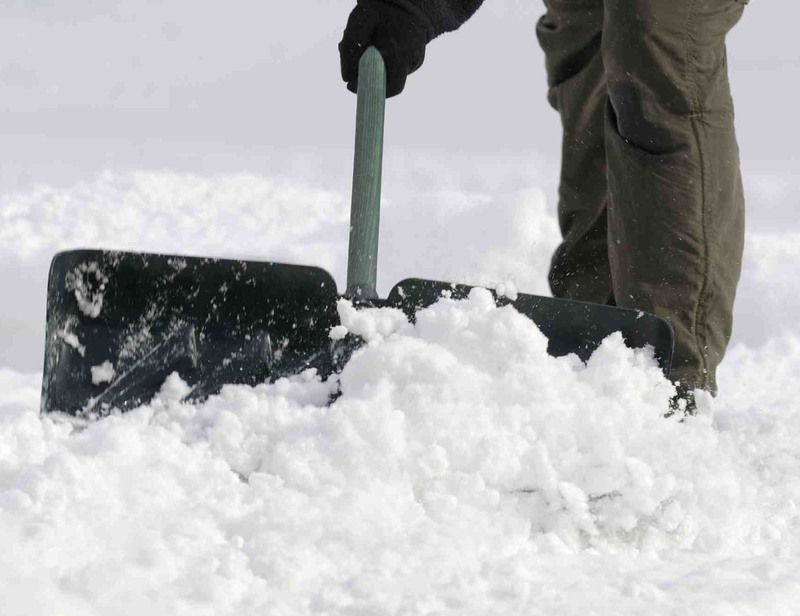 Avoid trying to manhandle the snowblower and let the machine do all the work for you. In general the larger the machine the better the job will be. Heavier machines will have more traction to push through the snow and they will have more power to also throw the snow further away from your driveway. Storage may be an issue for some people, particularly if you have a one car garage. Most people will not be able to store a snow blower in their garage and also get their car in the garage with it. Contractors will sometimes use a truck with a blade mounted on the front to clear snow from your driveway. the danger with blades on the front of the truck is that sometimes they scrape the sod off the ground at the edges of the driveway. Also these scrapers or blades can sometimes scratch the asphalt or brick in situations where consumers have an interlocking brick driveway. Make sure that you include this issue in your contract and that the snow plow contractor uses a Teflon tipped blade to avoid scratching a brick driveway. This is the preferred equipment used by many contractors giving them much better traction and control of where the snow is thrown . Just like a small snow blower the snow can be directed in almost any direction to the left or right. Contractors can blow snow over hedges so they do not get ruined by the weight of the snow on them. The other advantage of tractor mounted snow blowers is that you do not end up with a large pile of snow on your lawn or along side the road from your driveway. This is typical of blade mounted snow clearing equipment. Snow blowers spread the snow over larger areas and it also melts much faster in the spring since it is not all concentrated in one area. This is a definite advantage if you are concerned about gardening and getting rid of the snow in the spring as quickly as possible.